Caper was born in Whyalla, South Australia. Raised by his Mother, with his Brother and Sister, he has never met his Father. A lifetime spent facing adversity; Caper grew up less fortunate and lost his Brother and Mother to heart disease. Remaining strong, Caper moved to Adelaide to pursue an AFL career. However, music soon became his main focus to establish himself as an original lyricist, producing his own beats and honing his craft. Caper has a unique and uplifting sound to deliver to the Hip Hop scene. Rapping insightful poetry inspired by the highs and lows of life. Caper made national & international headlines in June 2011 when his anti-racist video 'How Would You Like To Be Me' was banned from Facebook after one complaint labelled it 'too offensive'. The track sparked much debate but was re-instated with the help of his fans. Caper recently worked with US Rapper ‘Angle Haze’ an exciting collaboration to be released soon. In 2012 Caper was nominated for his first Deadly Award for ‘Most Promising Talent In Music’. August 2013 Caper made his live debut TV performance on the ‘Marngrook Footy Show’. 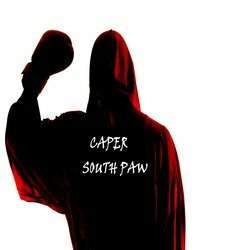 Recently Caper released his anticipated mixtape 'South Paw'. Caper tells a powerful story about domestic violence on women.